844 ANTON POHL IN WIEN. 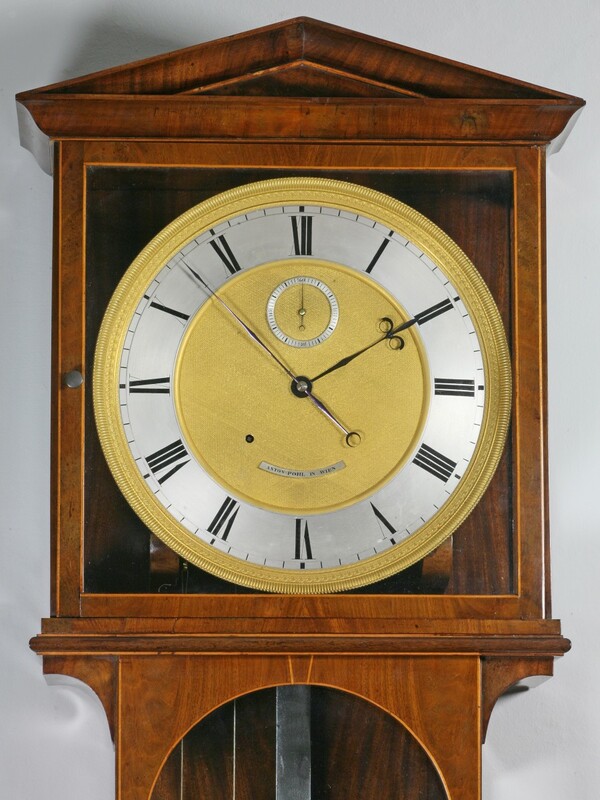 A SUPERB QUALITY MONTH DURATION MAHOGANY LATERNDLUHR BY THIS EMINENT MAKER. CIRCA 1835. An extremely elegant and attractive mahogany Laterndluhr. The case of fine proportions has an ogee pedimented roof to the lift off hood. It has the typical lift out trunk and base doors with glazing to all three sides. The doors and the glazed panels are strung with boxwood, as is the architectural top. The month duration weight driven movement is of the finest quality. It has end stops throughout the train and a relatively narrow plate separation to avoid flexing. The wheel work is beautifully crossed out with six crossings to the larger wheels and five crossings to the others. 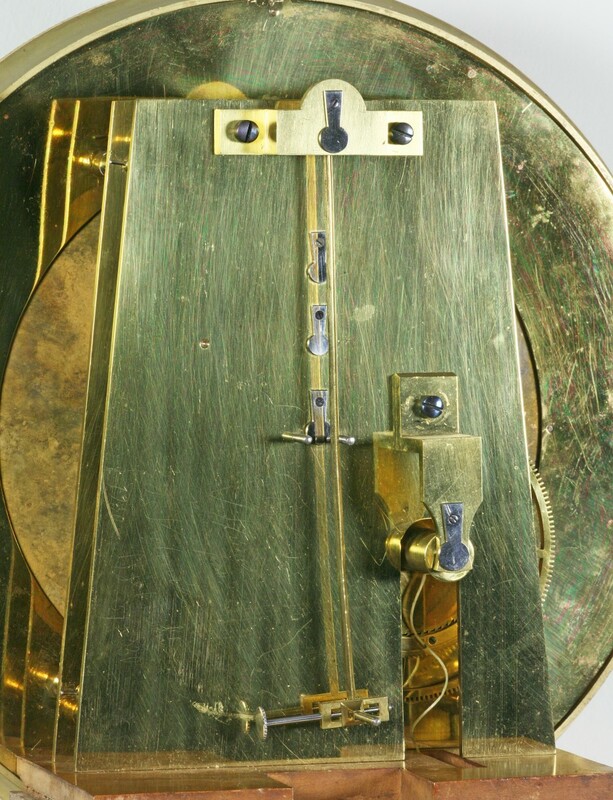 It has a Graham deadbeat escapement, maintaining power and a particularly large great wheel with a small diameter barrel which protrudes out of the back of the movement. 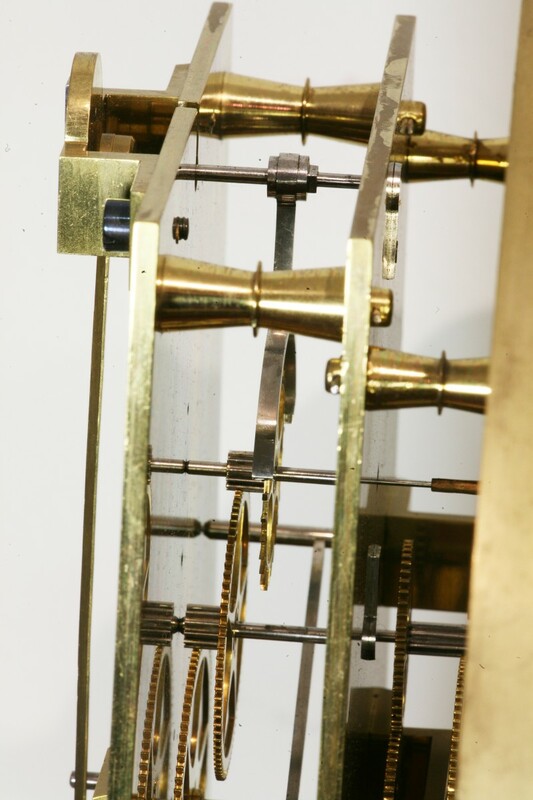 The large great wheel and small diameter barrel enables the clock to have a month duration with only four wheels in the train, the same number as you would find in a week duration clock. It has the usual beat adjustment at the bottom of the crutch. 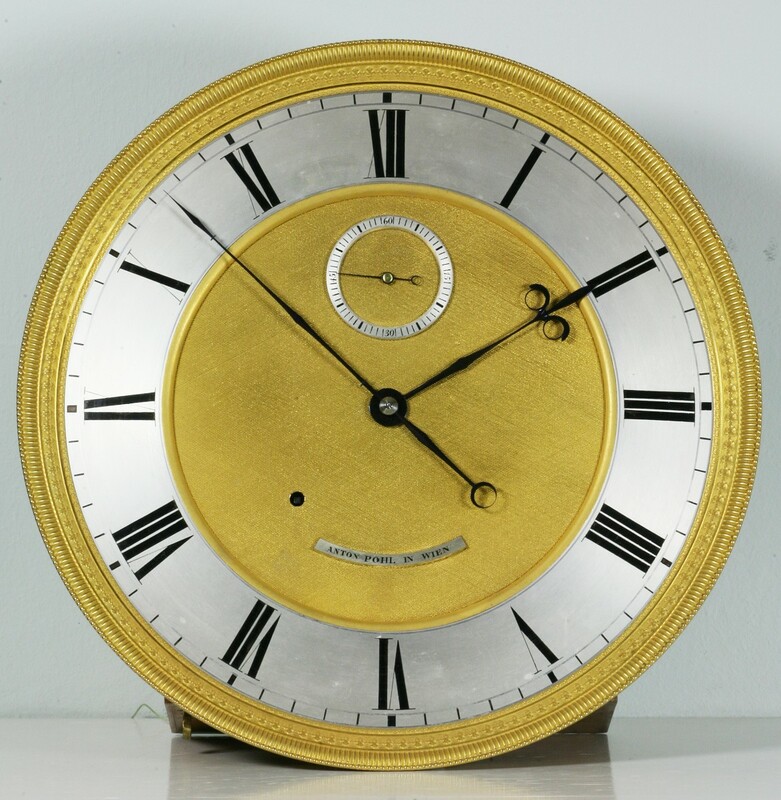 The two piece dial is a particularly fine feature of the clock. It has a beautiful fire gilded cast bezel and the centre of the dial is beautifully engine turned and also fire gilded. The main chapter ring is silvered with Roman numerals and an outside minute ring, and there is a silvered seconds ring below XII and a signature plaque above VI signed for the maker Anton Pohl in Wien. It has beetle and poker blued steel hands. The heavy brass bob pendulum has a steel rod and a rating nut at the bottom. It runs against a silvered beat plaque mounted in the bottom of the case. 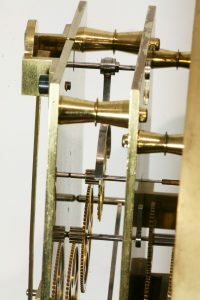 The brass cased weight is off set to the left. 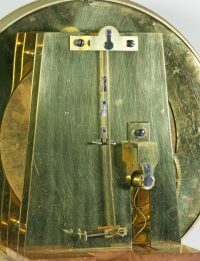 There is a blued steel plaque attached to the top of the pendulum engraved Meisterstück. This would normally signify that this was the masterpiece clock produced by the maker for admission to the Guild as a Master Clockmaker. 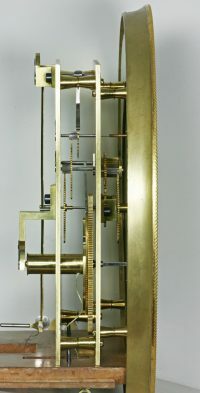 However, it is more normal for the movement to be engraved and dated. Anton Pohl was born in 1803, and was working in Brunn and Gebirge at the beginning of his career. He was working in Vienna from about 1830, and was admitted as a Viennese Master by 1835. He died in 1856. Anton Pohl in Wien: Price P.O.A.